BatteryPercent12 - a lightweight tweak to show you the percentage without getting rid of the battery icon! - Uses built-in code from iOS 12, so it’s very lightweight. 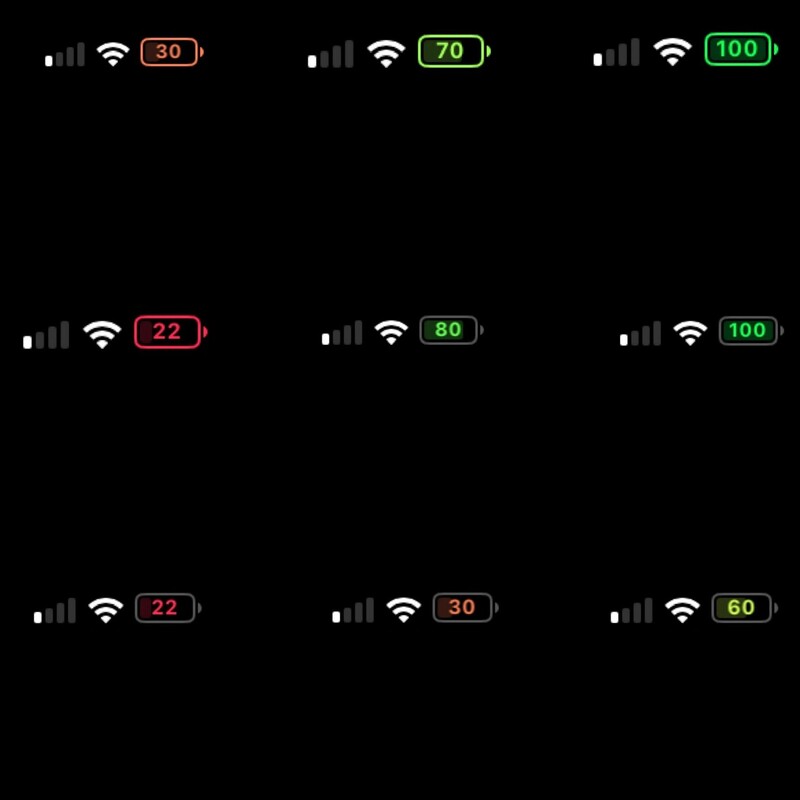 - 2 options to colorize the battery (and the percentage) based on current percentage. - The ability to hide the stock percentage (applies to both CC percentage, and iPad statusbar percentage). - An option to set a custom color for the percentage, the body and the pin of the icon! - An option to disable it in springboard. 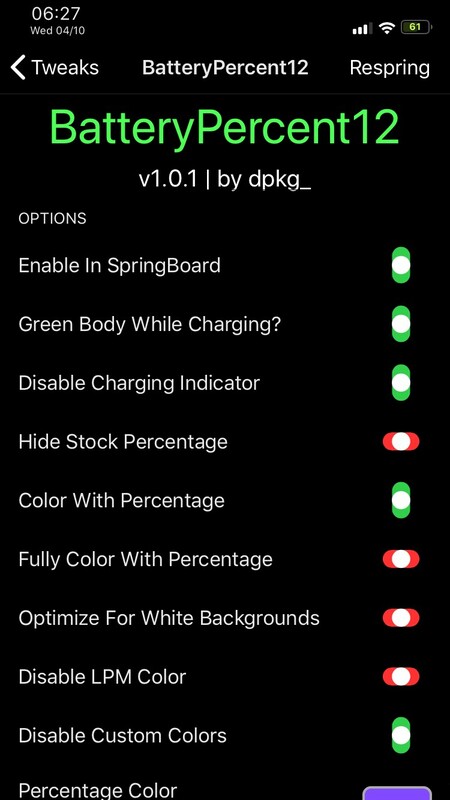 - An option to disable the low power mode color (shows the stock LPMcorange tint when disabled).